Find out more about Patisserie Viennoise and keep up to date with our news. 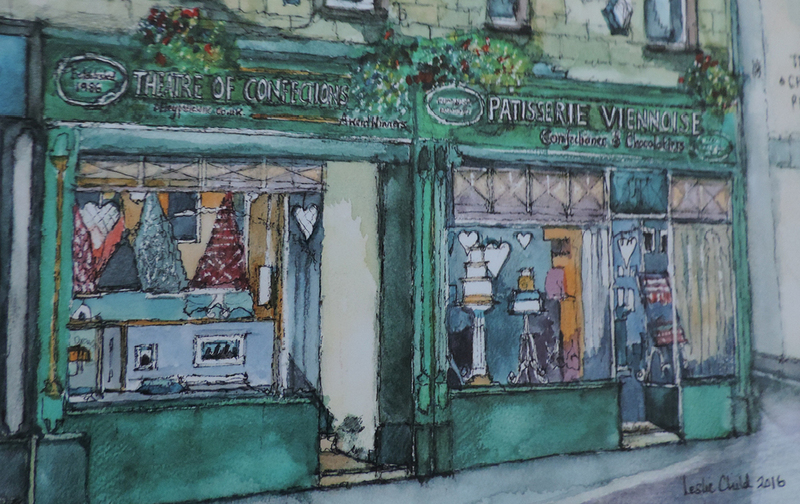 To mark our 30th year in business we asked local artist Lesley Child to create a painting of our shop. Lesley is well known in Otley and is often seen sketching away on street corners! We are thrilled with the painting he created of our shop and it is something we will treasure forever. Over the last 30 years we have been privileged to work with many well known people. 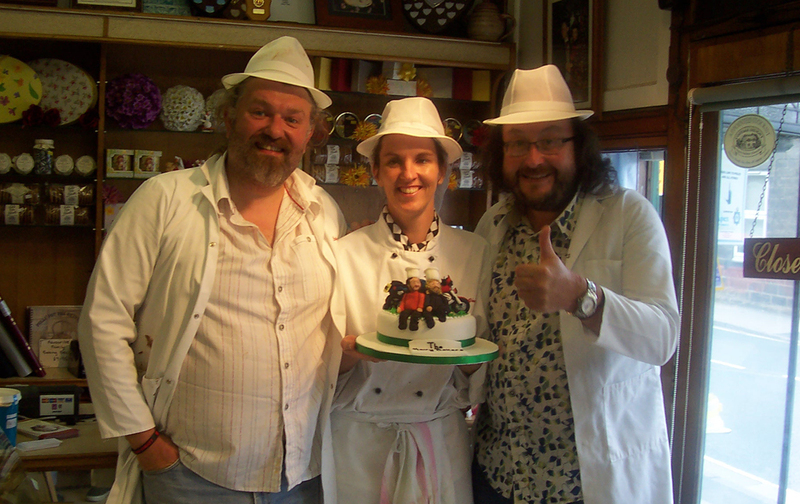 One particular highlight was when the Hairy Bikers came to film at our shop. Dave & Si were great! Normal guys, no airs and graces, generous with their time and simply a delight to work with. 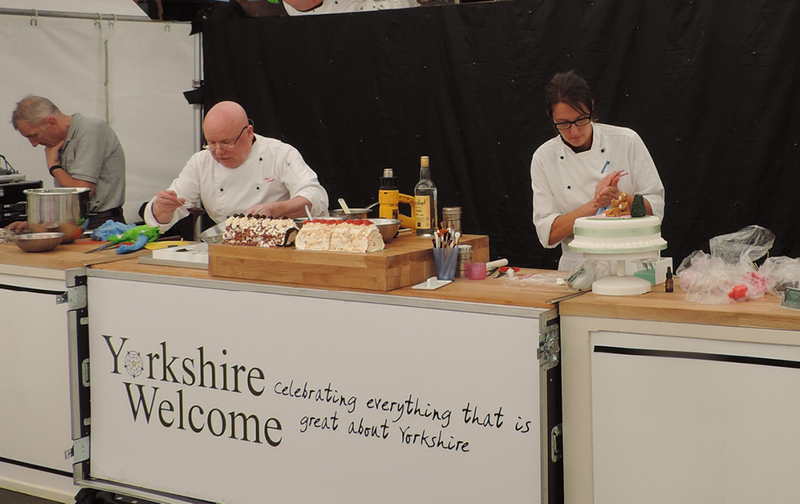 During the day they helped make a croquembouche, some individual wedding cakes and our show stopping lily chocolate wedding cake. As a special gift, we presented them with a novelty cake with sugarpaste figures of themselves and their motorbikes. 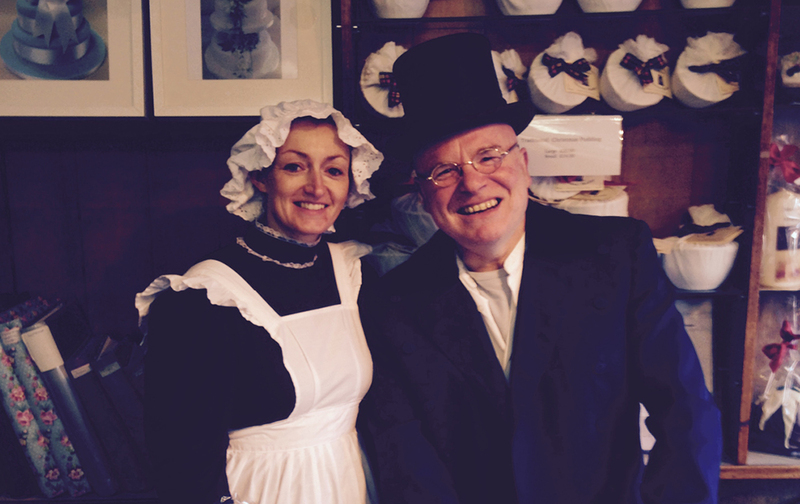 We are passionate about supporting our local community and would always encourage everyone to shop local. The Otley Food & Drink Festival which usually takes place in June is a wonderful example of what your local shops/restaurants/traders have to offer. It is a family event - once again something for everyone! The theatre hosts around 5 free demonstrations (including us) showcasing the talent we have on our doorstep. There are a wealth of stalls selling everything from plants, delicious food, locally brewed beer and so much more - not to be missed! For more information, visit www.visitotley.co.uk and look for Otley Food & Drink Festival.